The simplicity and stress-less-ness of Thanksgiving — as compared to Christmas, at least — must account for its great appeal, outside of the obvious food factor. Its association with and historical memorial to the Pilgrims of 1621 cannot be wholly denied, and can serve to remind us of the great stresses that were once endured in order to further simple truths, convictions, ideals, and most importantly: freedoms. There is a wealth of sources available that speak directly from these folks themselves. It seems the first Thanksgiving was, in a way, just a traditional harvest feast, complete with beer and plenty of meat (venison and game foul primarily — including wild turkeys). The causes for lasting relevance could be accounted to the presence of more native Americans than pilgrims in attendance, and the hope that the abundance of the harvest, and other naturally occurring food resources, instilled in them for their future success (and therefore, ours) in this new land of liberty. 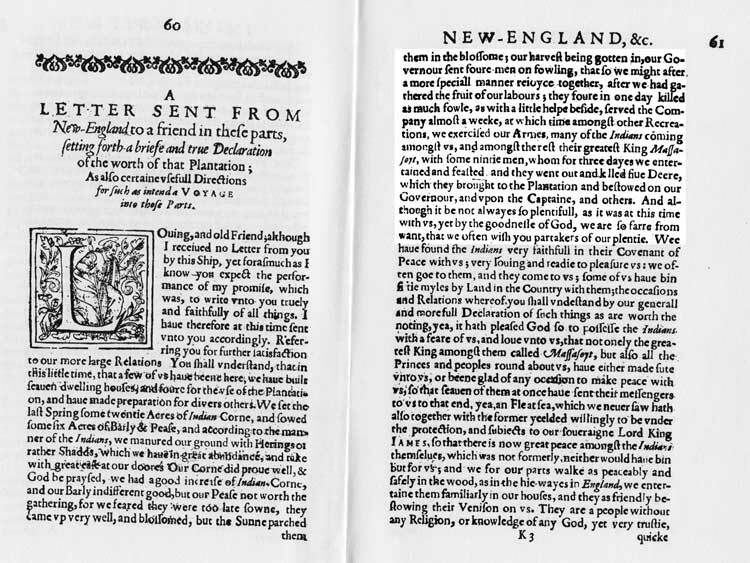 You may read the letter written by the Mayflower pilgrim Edward Winlsow in which he describes that three-day feast, with modernized spellings: here. If you would like to read it in its original, it can be found somewhere in this book: here. It’s only a few pages and may spark your interest to read something larger, like William Bradford’s whole account of the pilgrims’ journey and establishment at the Colony of Plymouth (Plimoth Plantation); which you may read for free: here. Or, for just a few seconds of your time you could also read the original Mayflower Compact.